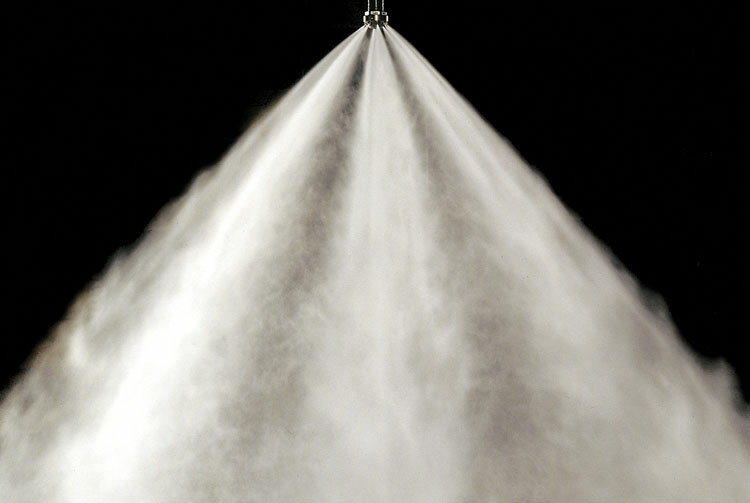 In water mist systems, the water used for suppressing fires is in the form of fine droplets. 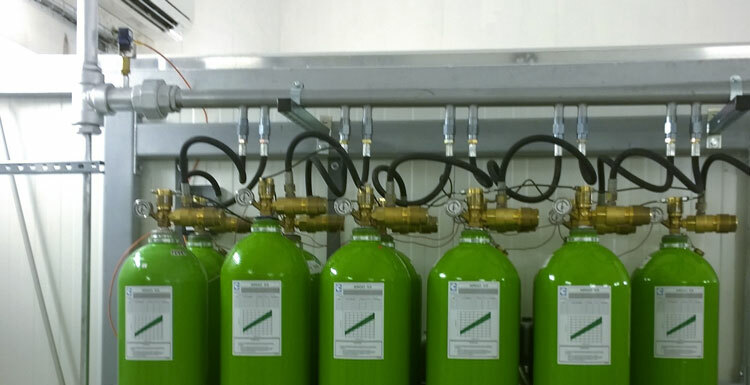 The extinguishing agent is not the actual water, but the mist which has different properties depending on how it is generated, its fineness and its kinetic energy. This extinguishing agent is not stored, but produced “in situ” at the nozzle. effect of oxygen depletion due to water atomisation, which can either be restricted to the flame area or generalised to the entire volume according to configurations (size and type of room, and ratio of power to size of fire, in particular). Water mist is compatible with class A, B, C and F fires. It is particularly suitable for extinguishing high-energy fires (liquid fuel) in a relatively confined space (generator set, turbine room). control of the fire: limitation of the development of the fire and prevention of structural damage (by cooling nearby objects and gases and/or by pre-wetting nearby combustible elements). 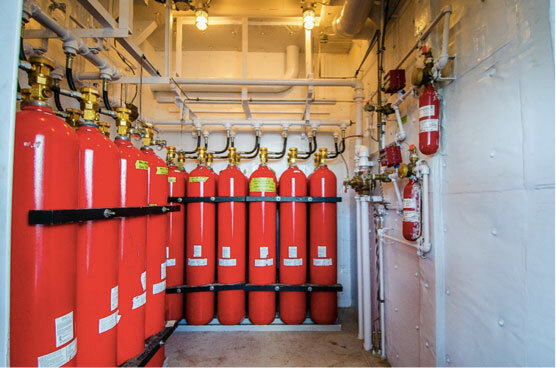 Fixed gas fire-extinguishing systems are particularly suited to the protection of electrical and IT rooms (data centers). Powders are most often used in handheld fire extinguishers. They can however be applied to fixed systems, particularly for protecting small areas (storage and handling of flammable liquids, etc.) at sites without a suitable water supply.